Great apps are even better when they’re on sale! We’ve selected 76 iPhone and iPad apps that are over 30% off. 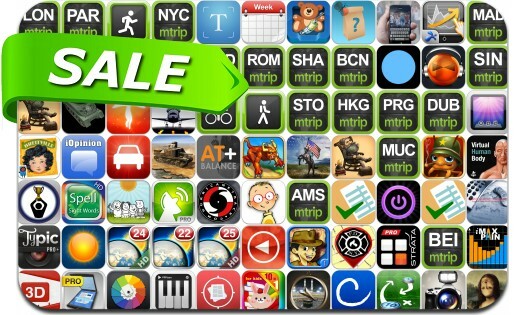 This app deal alert includes Anthill, Walk Tracker Pro, Spirits, Cycle Tracker Pro, Camera Pro Effects, Run Tracker Pro, The Tiny Bang Story, Tank Battle: North Africa, Faceover, My Scans PRro, Perfect Pitch Piano, mTrip Travel Guides and many others.